The days are getting shorter, the air crisper, and up and down the country the seasonal sneezing, coughing and spluttering into tissues has begun all over again. The average person will get 2-3 colds a year, and each year around 15-20% of people fall ill with flu. Flu is just a heavy cold. FALSE. Flu and the common cold are actually different illnesses. Even though some of the symptoms may be the same, flu and cold are caused by totally different viruses. You tend to feel much worse with flu, and often have to stay in bed for several days, whereas a cold will usually just make you feel under the weather. Flu symptoms usually develop very quickly, while the symptoms of a cold usually develop over one or two days. For more information, see What is the difference between a cold and flu? Going out with wet hair will give you a cold. FALSE. The common cold and flu are both caused by viruses, which you can catch by breathing them in, or by touching a contaminated surface and then touching your mouth. Unless you’re so cold that you get hypothermia, which will make you more susceptible to infection, having wet hair or being cold won’t make you any more likely to become infected with a virus. Flu can be treated with antibiotics. FALSE. Antibiotics only treat bacterial infections. Flu and the common cold are both caused by viruses, so antibiotics will have no effect on them. In fact, people using antibiotics inappropriately to treat flu or colds is one of the reasons antibiotic resistance is on the rise. If this continues and more bacteria become resistant, diseases such as pneumonia and tuberculosis could see a huge resurgence. You should feed a cold and starve a fever. FALSE. An old wives’ tale dictates that you should gorge yourself when you’ve got a cold, and fast when you’re ill with a fever (a common symptom of flu). There is no hard evidence to back this up, and doctors are more likely to recommend staying hydrated, eating healthily and getting plenty of rest as treatment for both a cold and flu. Vitamin C can prevent a cold. FALSE. This is a common myth, but there is actually no evidence to back up the belief that vitamin C can stave off a cold. Taking a zinc supplement may be of more help, but more research is needed before doctors start regularly recommending either of these. By far the best ways to prevent a cold or flu are by regularly washing your hands, not touching your mouth, and avoiding close contact with infected people. For more information on preventing colds and flu, click here. You can catch flu from a flu jab. FALSE. The flu jab contains “inactivated” (dead) flu virus, which cannot cause flu. The jab can make you feel a bit achy, but this is just a side effect of the vaccine, not actual flu. There is no treatment for flu. FALSE. Your body will normally recover from flu of its own accord, as long as you do not fall into one of the at-risk groups (see below), and as long as you get lots of rest, stay warm, and drink plenty of water. However, if you are particularly impatient to be up and about again, the prescription-only medicine Tamiflu can shorten the length of time you are ill with flu by up to 24 hours. You shouldn’t drink milk when you’ve got a cold. FALSE. It’s a common myth that drinking milk when you’re ill with a cold will cause more mucus to build up in your throat. There’s no scientific truth to this at all, so there’s no need to worry that your soothing hot milk and honey is doing more harm than good. Seasonal flu is annoying, but harmless. FALSE. Most people will recover from flu after a few days’ rest in bed, but for some people, particularly the elderly, flu can be a life-threatening illness. In the UK, around 600 people die from a complication of seasonal flu every year. Man flu means that men are more ill with flu than women. FALSE. Man flu is just a myth. 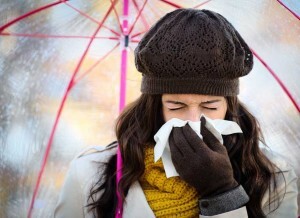 Whether it’s a cold or flu, men and women get infected with exactly the same viruses. However, the way that men and women deal with the viruses may be different, which can lead to differences in behaviour and the perception of illness.